New legislation has been passed in Westminster allowing schools in the UK to keep spare adrenaline auto-injectors (AAIs) for emergency use. AAIs deliver a potentially life-saving dose of adrenaline in the event of a severe allergic reaction (anaphylaxis). A working group, made up of representatives from the Anaphylaxis Campaign, Allergy UK, the British Society for Allergy & Clinical Immunology (BSACI), the British Paediatric Allergy Immunity and Infection Group (BPAIIG), and the Royal College of Paediatrics and Child Health (RCPCH), campaigned for the Government to amend the Human Medicines Act to allow schools to buy AAIs from a pharmaceutical supplier, without prescription, for use in emergencies. The working group and their respective organisations have welcomed the new legislation which allows school staff to administer an emergency AAI to any child who has been assessed as being at risk of anaphylaxis. Over 1600 parents/carers and 800 teachers completed a survey in 2015 to assess backing for the campaign and over 99% of parents and 96% of teachers supported the proposal. The survey formed a crucial part of the evidence presented to the Department of Health. A public consultation conducted by the Department of Health this year also found overwhelming support for a change in the law to allow schools to hold spare AAIs, without a prescription, for use in emergencies. “The rise in food allergy among young people is posing a significant risk for schools who can be faced with a life-threatening situation requiring urgent action. One in five fatal food-allergic reactions in children happen at school. 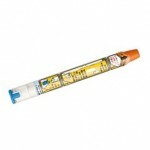 Schools can now purchase the first-line treatment for anaphylaxis, without a prescription. While not compulsory, we hope many schools will take advantage of this change as part of their duty of care tp those children who are at risk of anaphylaxis. This is likely to increase awareness and highlight the need for staff to be trained to recognise and treat anaphylaxis in school. Safe and Sound Paediatric First Aid courses always include anaphylaxis and our annual half day Anaphylaxis and CPR Refresher course is increasingly popular with all those working with children.